Two years have passed since Roan fled the destruction of his village. He has survived the polluted wilds of the Devastation, escaped the lethal mind traps of the Dreamfield, and infiltrated the heart of the sinister City. Through it all, Roan has struggled to hold fast to Longlight's legacy of peace. But now, an unimaginable evil looms and violence seems unavoidable. Darius, the Keeper of the City, is enraged by the escape of Roan's sister Stowe. Despite the loss of his sacrificial prodigy, Darius's malevolent reign continues to push the entire realm to the brink of destruction. As Roan and his trusted friend Lumpy struggle to unite disparate peoples in a war against the City, it becomes clear that any chance of victory must include Stowe. But is her battered psyche damaged beyond all hope? 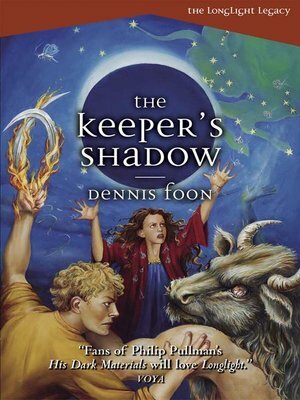 THE KEEPER'S SHADOW completes the engrossing saga of The Longlight Legacy, a powerful chronicle of how untold destruction can result from accommodating evil and the violence it spawns.